The Mueller Investigation, Explained. Here’s Your Guide To The Trump-Russia Probe. POLITICS 07/27/2018 03:07 pm ET Updated 1 minute ago Robert Mueller's special counsel investigation into Russian interference in the 2016 campaign can be a lot to keep up with. By Ryan J. Reilly Let’s start at the top. When did this Trump-Russia investigation begin?  Two years, or roughly a million news cycles ago, give or take. The FBI’s original Trump-Russia investigation got underway in the summer before the 2016 campaign, though the public wasn’t really aware of it then. (In contrast to the extremely public FBI investigation of Hillary Clinton’s use of a private email server, the bureau followed protocol and never publicly acknowledged that Donald Trump’s presidential campaign was under investigation for its ties to a hostile foreign government.) The little reporting on the probe at the time underplayed the gravity of the investigation. 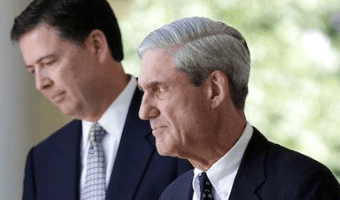 Not long before the election, The New York Times said in a piece titled … [Read more...] about The Mueller Investigation, Explained. Here’s Your Guide To The Trump-Russia Probe. Few Trump-Russia Stories Have Changed Americans’ Minds. Will This One? POLITICS 07/16/2018 04:07 pm ET Friday's indictments didn't usher in much of a sea change, a new poll finds. We'll see if the Helsinki summit does. By Ariel Edwards-Levy As news from the probes into Russian meddling in U.S. politics continues to accumulate, public opinion on President Donald Trump’s relationship with Russia has remained basically the same. Americans have been more likely than not to be troubled by the way the White House deals with the country, but the concerns haven’t been growing. If anything could change Americans’ minds, it might be expected to be the joint news conference Trump held Monday with Russian President Vladimir Putin in Helsinki. Trump parried a question about holding Russia accountable for the poor relationship between the countries by insisting that the U.S. had been “foolish” and shared the blame for the acrimony. He also undercut the U.S. intelligence community by declining to back their … [Read more...] about Few Trump-Russia Stories Have Changed Americans’ Minds. Will This One?